Transplant tolerance, similar to transplant rejection, is mediated by T cells, and activation of T cells is a prerequisite for both rejection and induction of donor-specific tolerance. Thus, costimulatory molecules play an important role in regulating rejection or acceptance of the allograft. Because of this, T-cell costimulatory molecules have been at the forefront of transplantation research for decades. The initial paradigm was that engagement of costimulatory molecules, in the context of TCR stimulation, promotes activation, clonal expansion, survival and effector differentiation of T cells, and therefore, their absence would have resulted in anergy and/or apoptotic cell death of activated T cells, a situation that favors transplant survival. Earlier studies, mostly using in vitro models, supported this paradigm. In fact, activation of T cells by TCR stimulation in the presence of CD28 costimulatory blockade often resulted in anergy and apoptosis of responding T cells. An implication of this finding is that by blocking costimulatory signals at a critical time of TCR stimulation, the T-cell response might be aborted, and in the setting of transplantation, rejection might be prevented, which may result in long-term allograft survival and possibly tolerance. 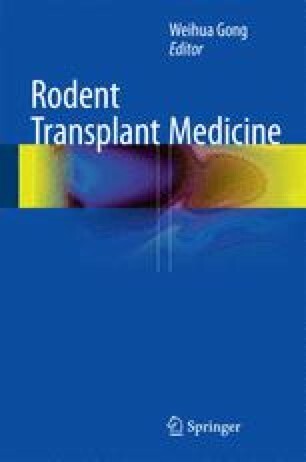 Indeed, in selected rodent models, blocking CD28 and/or CD154 costimulation can induce prolonged allograft survival, and in some cases, donor-specific tolerance (Sayegh and Turka 1998). These initial findings generated tremendous enthusiasm toward clinical translation in that therapeutic blockade of key costimulatory pathways may be a promising way to the induction of transplant tolerance.